Brilliant strategy design and technology expertise only get you so far. Success in the volatile environment demands much more; and relentless execution is key. From strategy to innovation, from disruption to growth, the faster the world changes the more you have to rethink your strategy for its successful implementation. Opportunity favors an agile mind. An exclusive invite-only conference for strategy executives and thought leaders from world-class organizations to exchange insights, share experiences and build networks. The conference will bring together world’s top leaders from the business, government, academic, and social sectors for a common mission of reducing waste caused by poor strategy implementation. 1 How to connect strategy design and delivery in a challenging and disruptive environment? 2 How can we adapt our delivery capability to make things happen in a volatile environment when things change overnight? Louis V. Gerstner, Jr. served as chief executive officer and chairman of the board of IBM Corporation from April 1993 to March 2002 and chairman until his retirement in December 2002. Following IBM, Mr. Gerstner joined The Carlyle Group, a global private equity firm located in Washington, D.C. He served as chairman from January 2003 until October 2008 and upon retiring from that position, he continued as a senior advisor to Carlyle through September 2016. Before joining IBM Mr. Gerstner served as chairman and chief executive officer of RJR Nabisco, Inc. Prior to that he served as President of the American Express Company and was a director of the management consulting firm, McKinsey & Co., Inc.
A native of Mineola, New York, Mr. Gerstner received a bachelor’s degree in engineering from Dartmouth College in 1963 and an MBA from Harvard Business School in 1965. He is a member of the National Academy of Engineering, a Fellow of the American Academy of Arts and Sciences and has been awarded honorary doctorates from a number of U.S. universities. Mr. Gerstner is chairman of the board of directors of the Broad Institute of MIT and Harvard; vice chairman of the board of the American Museum of Natural History; a member of the board of Memorial Sloan-Kettering Cancer Center and chairman of the board of Gerstner Sloan Kettering Graduate School of Biomedical Sciences. In past years he served on a number of public company boards including Bristol- Myers Squibb, The New York Times, American Express, AT&T, and Caterpillar, Inc.
A lifetime advocate of the importance of quality K-12 education in America, Gerstner created The Teaching Commission in 2003 to develop specific policy recommendations to raise the stature, performance and accountability of teachers in U.S. schools. From 1996 to 2002, he co-chaired Achieve, an organization created by U.S. Governors and business leaders to drive high academic standards for public schools in the United States. At IBM he established Reinventing Education as a strategic partnership with 21 states and school districts which utilize IBM technology and technical assistance to eliminate key barriers to school reform and improve student performance. He has received numerous awards for his work in education, among them the “Cleveland E. Dodge Medal for Distinguished Service to Education” from Teachers College, Columbia University, and the “Distinguished Service to Science and Education Award” from the American Museum of Natural History. In recognition of his work on behalf of public education, as well as his business accomplishments, Gerstner was awarded the designation of honorary Knight of the British Empire by Queen Elizabeth II in June 2001. Mr. Gerstner is the author of Who Says Elephants Can’t Dance, the best-selling account of IBM’s transformation; and he is the co-author of the book Reinventing Education:Entrepreneurship in America’s Public Schools. 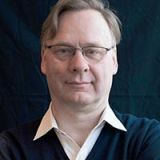 He has published 11 books the most recent of which are Creating Great Choices written with Jennifer Riel (Harvard Business Review Press, 2017) Getting Beyond Better written with Sally Osberg (Hss, 2015) and Playing to Win written with A.G. Lafley s (HBRP), 2013), which won the award for Best Book of 2012-13 by the Thinkers50. He has written 25 Harvard Business Review articles. Professor Henry Mintzberg is a writer and educator, mostly about managing originations, developing managers, and rebalancing societies (where my attention is currently focused), also an outdoorsman and collector of beaver sculptures. After receiving his bachelor’s degree in Mechanical Engineering from McGill University in Montreal (1961), working in Operational Research for the Canadian National Railways (1961-1963), and doing his masters and PhD at the MIT Sloan School of Management (1965 and 1968), Mintzberg has made his professional home in the Desautels Faculty of Management at McGill. He sits in the Cleghorn Chair of Management Studies (half-time since the mid-1980s), and has had extensive visiting professorships at INSEAD in France and the London Business School in England. 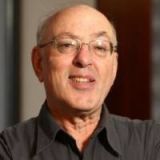 Mintzberg has authored 20 books, including Managers not MBAs, Simply Managing, *Rebalancing Society* and Managing the Myths of Health Care, also 180 articles plus numerous commentaries and videos. He now publishes a regular TWOG (TWeet 2 blOG), as “provocative fun in a page or 2 beyond pithy pronouncements in a line or 2” (@mintzberg141 to mintzberg.org/blog). A collection is being published under the title Bedtime Stories for Managers, and following that will be *Understanding Organizations…finally* (a revision of my book Structure in Fives). Mintzberg co-founded and remains active in the International Masters Program for Managers (impm.org) and the International Masters for Health Leadership (imhl.org) as well as a venture CoachingOurselves.com, all novel initiatives for managers to learn together from their own experience, the last in their own workplace. Some consequences of all this have been election to the Order of Canada and l’Ordre national du Quebec as well as to the Royal Society of Canada (the first from a management faculty), two prize- winning *Harvard Business Review*articles, and twenty honorary degrees from universities around the world. Mintzberg may spend his professional life dealing with organizations, but he continues to spend his private life escaping from them, especially in the Laurentian wilderness of Canada, usually with his partner and sometimes with his two daughters and three grandchildren. Rita Gunther McGrath, Valize’s Founder and CEO, is a globally recognized thought leader and inventor of much of today’s innovation best practice. From her breakthrough 1995 Harvard Business Review article “Discovery Driven Planning” to her current work on strategic inflection points and new models for executive leadership, McGrath is recognized as one of a small group of experts who have built today’s best-in-class innovation practices. McGrath has created widely used tools for making innovation a managed proficiency in organizations; much of which was the foundation for the Lean Startup movement. In her speaking, consulting and writing, McGrath has had a lasting impact on the strategy and growth programs of major organizations worldwide. She is one of the top ten management thinkers as rated by Thinkers50. Martin Reeves is a Senior Partner and Managing Director in the New York office of BCG and Global Director of the BCG Henderson Institute, BCG’s think tank on business strategy. Mr. Reeves is currently leading research on resilience and corporate longevity, strategy and artificial intelligence, competing on the rate of learning, diversity and performance, innovation strategy, organizational vitality, the humanity of corporations and strategy and execution. Mr. Reeves is also author of Your Strategy Needs a Strategy (HBR Press), which deals with choosing and executing the right approach in today’s complex and dynamic business environment. Mr. Reeves holds a triple first class MA degree in natural sciences from Cambridge University and an MBA from Cranfield School of Management. He also studied Japanese at Osaka University of Foreign Studies and biophysics at the University of Tokyo. Since joining Quartz in November of 2013, Joy Robins has led triple-digit growth in Quartz’s client base and revenue globally. Robins has been a strong and powerful voice in the industry since her time at BBC where she led digital ad sales efforts for six years. 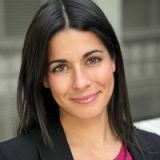 She also held previous roles at OMD and NBC before joining Quartz. She was honored by Ad Age’s 40 under 40 in 2017 and was named one of the leading executives working to clean up digital advertising by Business Insider in 2018. 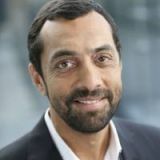 Vishal Lall is Chief Strategy Officer and head of Venture Investments (Pathfinder) at Hewlett Packard Enterprise. In this role, he works closely with the Board, CEO and the Executive Committee on strategic topics that cut across the company and on those that are specific to various business units. In particular he focuses on the company’s portfolio, M&A, partnership and go-to-market strategies. He also leads HPE’s Pathfinder program that makes venture investments in emerging, next-gen companies, and incorporates these technologies into HPE solutions. Vishal’s mandate is to develop and refine the company’s strategy to align with a rapidly changing market, shifting customer buying behavior, evolving business models, and shifting revenue and profit pools. He works closely with the various business units on their strategic imperatives and with the finance organization to develop and implement strategic plans that maximize shareholder value. He also runs HPE’s strategic planning process that results in the company’s long-term strategic and financial plans. Deepa Prahalad is an author and innovation consultant. She has worked with start-ups and large multinationals, and co-authored the book, Predictable Magic: Unleash The Power of Design Strategy To Transform Your Business, which was selected by Fast Company as one of the “Best Design Books of the Year”. She is also a frequent blogger on the Huffington Post, Harvard Business Review, and other magazines. Deepa is an elected member of the International Academy of Management and the Center for Digital Transformation at UC (Irvine) and was ranked #34 on the inaugural Thinkers 50 India list. She was recently selected by leadership guru Marshall Goldsmith into his “100 Coaches Program” from over 16,000 global applicants. Deepa speaks on innovation and design strategy and mentors social entrepreneurs. 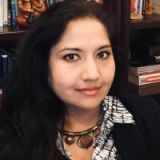 She is on the Advisory Boards of the Global Peter Drucker Forum, ArogyaWorld and Re:Materials and is also a Board Member for South Asian Art collection at the San Diego Museum of Art. Deepa actively supports several global efforts in memory of her late father, CK Prahalad. She is a B.A. in Economics and Political Science from the University of Michigan and an MBA from the Tuck School of Business at Dartmouth. 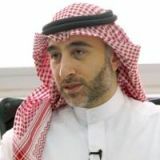 Montazar Muhalhal is General Manager of Strategic Initiatives at Saudi Telecom Company (STC). He holds a bachelor’s degree in Industrial Engineering from KFUPM. Montazar has over 20 years of experience spanning across strategy, strategic execution, and business development. In his current role at STC, he manages the top strategic initiatives portfolio for the company in order to maximize value and drive superior outcomes. A longtime student of management theory and practice, Julia Kirby has researched and written extensively on topics from AI to zero-based budgeting. Her recent books are Only Humans Need Apply: Winners and Losers in the Age of Smart Machines (coauthored with Tom Davenport) and Standing on the Sun: How the Explosion of Capitalism Abroad Will Change Business Everywhere (coauthored with Christopher Meyer). A fifteen-year veteran of Harvard Business Review, she now develops books as a senior editor at Harvard University Press. Prior to joining HBR, she began her career in the management consulting industry, focusing on the management of innovation. 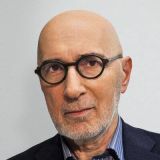 Richard Straub is Founder and President of the Peter Drucker Society Europe and of the Global Peter Drucker Forum, that celebrates its 10th anniversary in 2018. He is also Associate Director of the EFMD, a leading network of Business Schools and Corporations with the mission to improve the quality and effectiveness of management education and development. In his 32 years with IBM Dr. Richard Straub has held key international executive positions such as Deputy General Manager for PC Europe and Global Chief Learning Officer. After having retired from IBM end of 2005 he stayed connected to the company as Senior Advisor to it’s global Education Industry. 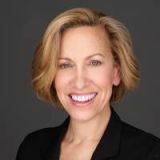 Susan Steele is a leader in IBM’s Global Talent & Engagement Center of Excellence where she integrates artificial intelligence (AI), robotic process automation and other emerging technologies in order to enable global enterprises to improve the attraction, development and retention of their business-critical talent. 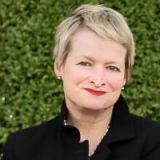 Prior to joining IBM in 2015, Susan held Chief HR Officer, Chief Learning Officer and Chief Talent Acquisition Officer roles at WPP, Deloitte and global law firm, Linklaters. Susan’s early career was in capital markets leadership roles at JPMorgan Chase and HSBC legacy banks and at the NASDAQ/PHLX derivatives exchange. Susan is a graduate of Carnegie Mellon University, completed further education at the London Business School and received an Executive Coaching Certification from the Tavistock Institute. 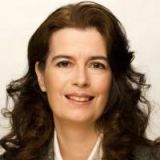 She is a frequent commentator on the growing impact of cognitive computing on both the HR function and employee experience. Susan, who lives in New York, serves on the boards of New York HR People & Strategy, Carnegie-Mellon University’s Dietrich College and Fifth Avenue Presbyterian Church and advises HR technology entrepreneurs. Richard D’Aveni is the author of THE PAN-INDUSTRIAL REVOLUTION: How New Manufacturing Titans Will Transform the World and the Bakala Professor of Strategy at the Tuck School of Business at Dartmouth College, and won the A. T. Kearney Award for research. From 2007 to the present, Thinkers50 has ranked him among the world’s top 50 business thinkers. His books include Hypercompetition (a global bestseller). He consults for GE, Intel, Corning, GM, Pepsico, Pfizer, and has spoken at the World Economic Forum. As Executive Vice President of Strategy and Corporate Development Claudio has responsibility for Lee Hecht Harrison’s business strategies and to identify sources of innovation and growth for the company. 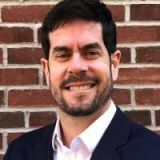 He oversees Lee Hecht Harrison’s Practice areas, with focus on innovating and developing the client experience and delivery capabilities in the Talent Mobility arena. He is also responsible for building key industry and strategic alliances and overseeing geographic growth of the company. 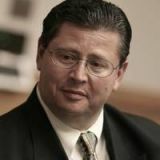 Claudio served for seven years as Executive Vice President of Latin America Operations and as President of Latin America for DBM (acquired by Lee Hecht Harrison in 2011), during which time he led the development of the talent development practice, as well as geographic expansion in the region. These successes, together with market share growth in the career transition practice, resulted in a significant growth of the region operations in sales and in relevance inside Lee Hecht Harrison | DBM operations. Claudio joined DBM in 2006. Claudio developed his career in a diversified range of segments such as financial industry, entertainment, media communications, and beverages in different areas from finance to operations. Claudio graduated with a degree in Civil Engineering, and a post-graduate degree in Business Management. Rahaf Harfoush is a Digital Anthropologist and Best-Selling Author researching the impacts of emerging technologies on our society. 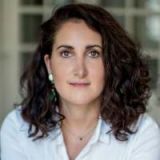 She focuses on understanding the deep (and often hidden) behavioral shifts that are taking place within organizations and individuals as global digital infrastructures enable the unprecedented exchange of ideas, information, and opinions. She teaches “Innovation and Disruptive Business Models” at SciencePo’s Masters of Finance and Economics Program in Paris. Her third book, “Hustle & Float: Reclaim Your Creativity in a World Obsessed with Work,” will be released in early 2019. Rahaf is the Executive Director of the Red Thread Institute of Digital Culture, where she leads a team of researchers in exploring the implications of the first global digital culture on how we live our lives. She has been named a top future thinker by the Hay Literary Festival, and was named a Young Global Changer at the G20 Think Tank Summit. Previously, she was the Associate Director of the Technology Pioneer Program at the World Economic Forum. One of the world’s most influential proponents of business model innovation and value proposition design, Alexander (Alex) Osterwalder provides a framework for large companies and startups to innovate by rapidly experimenting with new business models and value propositions. 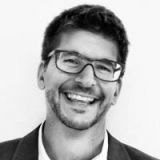 He is co founder of Strategyzer, an innovation powerhouse that helps organizations develop growth engines, better customer understanding, more attractive value propositions and powerful business models via online applications and blended online/offline courses. Osterwalder invented the Business Model Canvas, Value Proposition Canvas, Culture Map, and Business Portfolio Map, to help business people with practical tools to help address important strategic jobs. He simplifies the strategy development process, turning complex concepts into digestible visual models. As a result, a better language for identifying and communicating value is created and disseminated throughout an organization. 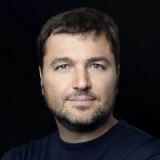 Osterwalder’s talks – which illuminate the application of these practical tools with current market examples – consistently rank first or second among his peers at global conferences. By punctuating his informative speeches with humor and interactive exercises, Osterwalder establishes a deep and direct connection with audiences ranging from five to 5,000 and beyond, commanding high levels of participation, engagement and enthusiasm. His speeches further reveal how his business model and value proposition frameworks allow companies to grasp and maintain a competitive advantage in the midst of a crowded, or previously uncharted, industry. Osterwalder won the 2015 strategy award from Thinkers50 and currently ranks #7 among the top 50 business thinkers of the world. In 2013, he won the European Union’s inaugural Innovation Luminary Award. A frequent keynote speaker at Fortune 500 companies, Osterwalder travels the world discussing his ideas and strategies at leading universities such as Wharton, Stanford, Berkeley, IESE, MIT, KAUST and IMD. He holds a doctorate from HEC Lausanne, Switzerland, and is a founding member of The Constellation, a global not-forprofit organization aimed at eliminating HIV/AIDS and Malaria. Ricardo Viana Vargas is a specialist in project management and strategy implementation. Over the past 20 years, he has been responsible for more than 80 major transformation projects in several countries, covering an investment portfolio of over 20 billion USD. He is currently the Executive Director of the Brightline Initiative™, a coalition of leading global organizations from business, government and not for profit sectors, dedicated to provide a knowledge and networking platform that delivers insights and solutions to successfully bridge the gap between strategy development and strategy implementation. Ricardo is co-founder and managing partner of PMOtto.ai, a cutting-edge virtual assistant that aims to revolutionize how users manage their project and initiatives and interact with project management software by using chatbots, machine learning and artificial intelligence. From 2012 to 2016, Ricardo Global Director of the Infrastructure and Project Management Group with the United Nations Office for Project Services (UNOPS). Vargas has written fifteen books on the subject of project management, and also host one of the most relevant podcasts in the field, the 5 Minutes PM Podcast, with more than 4 million views. Sometimes more effort toward a particular goal doesn’t generate better results because the theory behind the effort is not up to the task. Yet typically the view is that the theory needs to be refined and/or the effort level increased what Thomas Kuhn referred to as the pursuit of normal science. Instead, what is actually required is a scientific revolution, which addresses the goal in a dramatically different way. Such is the case with the challenge of strategy execution. It is time for a Kuhnian scientific revolution if we are to make significant progress. Growth and prosperity depend on implementing the right strategies the right way. Several researches have shown that executives recognize there is a gap between strategy design and delivery. This panel will discuss two main questions: In an era of disruption and volatility, what are the main causes of this gap? What leaders and organizations can do to close this gap? 15-Minute Strategizing: Building Invincible Companies. 15-Minute Strategizing: Strategy + Execution = Shareholder value creation. Practical lessons from the trenches. We need to rethink how strategies are implemented. The link between design and delivery is made of solutions created and implemented by people. This panel will explore some key questions: Why people are frequently the least leveraged asset although they are critical to strategic transformation? What organizations can do to leverage their most critical and important asset, their people? In today’s business environment, disruption and crises are inevitable. This panel will focus on some key questions: What can radically change when organizations face crises or disruption? What are the commonalities for teams that emerged stronger after a crisis? How can leaders use these learnings to improve strategy implementation capabilities?